Becky Braunstein's career as a comedian started with life-threatening news. While living outside Anchorage, Alaska, she was diagnosed with metastatic thyroid cancer and needed to move somewhere with better access to medical care. She ended up in Portland home to world-renowned Oregon Health & Science University. "Coming from middle-of-nowhere Alaska, this to me is a big city," she says. "People park their cars on the streets and ride bikes places. We don't have that in Alaska." Braunstein had wanted to move out of Alaska for some time. Her medical needs were just the push it took get her moving. "I mostly moved here to seek success in showbiz," she says. It was a bold move, as Braunstein is quick to point out in her material: "Back home, people are always talking about moving out of Alaska," she says. "Nine times out of 10, they come back just drenched in failure." Braunstein isn't going back any time soon. Over a plate of chicken fingers in a corner booth at the Overlook lounge, she says the only thing she hasn't adjusted to three years later is the heat. "Anything over 65 is too hot for me," she says, wearing a T-shirt in November in silent protest. "Everyone says you don't need AC here, but they're heat deniers." Since moving here in 2014, she's scored a coveted spot as a regular at Helium, and is now running her own showcase, Becky With the Good Jokes. Lately, she's been spending time on the road and performing at comedy festivals. But after she first moved to the city to undergo aggressive cancer treatment, she credits her positivity and ability to laugh at just about anything with helping her survive. By the time her cancer went into remission in 2015, Braunstein was determined to get her comedy career off the ground. Her treatment had included throat surgery that could have taken her away her ability to speak. After nearly losing her voice, she decided she was going to use it to the best of her ability. She started by diligently signing up for the open mic at Helium. At first, she only got onstage once a month. But she began performing more and more, until Helium offered her a regular gig early this year. In stark contrast to the stereotypical self-deprecating comedian, it's Braunstein's sunny worldview that makes her humor so infectious. "I'm not a controversial figure, I don't think," says Braunstein. "I just want to have a good time, and I want everyone else to have a good time, too." This is something deeply earnest about Braunstein's stage presence. She often preaches the joys of her long-term relationship—dating new people, she says in one of her jokes, is like having to "complete an important project with the new person at work. There usually comes a point where you're like, 'Look, I appreciate what you're trying to do here, but it would be better if I just do this myself.'" 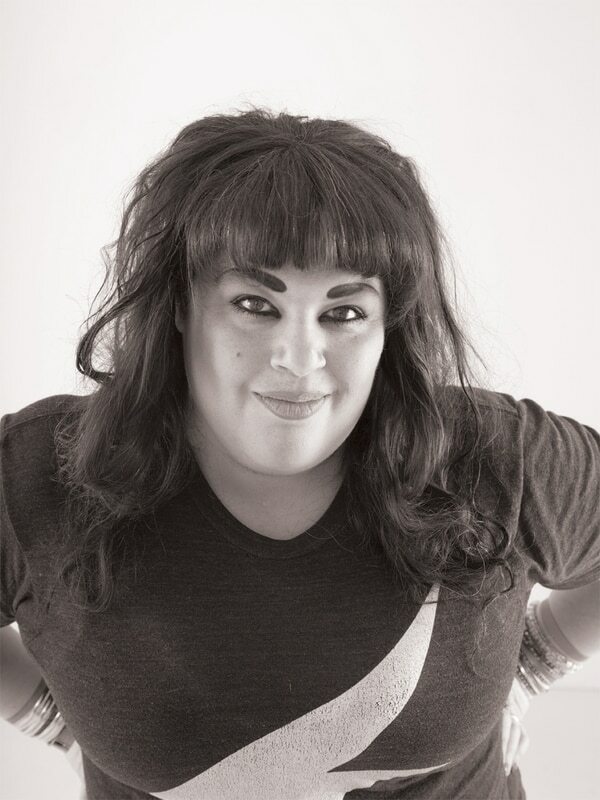 After a pilot run at Bridgetown Comedy, Becky With the Good Jokes launched last September. It's one of the most ambitious showcases in the city: Along with a lineup of regulars in the Portland standup scene, Braunstein books musicians and, last month, screened a short film she made in Alaska. Already, the showcase has hosted Jenny Conlee of the Decemberists and a surprise drop-in set from Matt Braunger, perhaps the most famous comedian ever to come out of Portland and one of Bridgetown's founders. Braunstein says that moving from a town so remote it doesn't even have law enforcement to a bona fide city still feels like an adjustment, but she wouldn't have it any other way. "It is a lot, but I love it. It's what I assume having kids is like, but like six kids," says Braunstein. "I mean, three years ago, I couldn't get arrested. Now I've got too much to do." GO: WW's Funniest Five showcase, hosted by Adam Pasi, is at the Alberta Rose Theatre, 3000 NE Alberta St. 7 pm Tuesday, Nov. 28. $10. 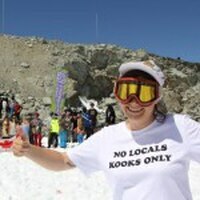 Brooke Geery spends her days as the queen of Internet snowboarding. Born in Jackson Hole, raised in Vermont and a decade-long resident of Portland, she takes lots of photos and writes about eating, couponing, all things extreme, and is pretty much convinced that you can accomplish anything on Tinder.